BKS, an RSS affiliated farmers’ group have urged the centre to institute a minimum support price (MSP) of Rs. 60,000/tonne for castor seeds. The cost of cultivating castor is estimated at Rs. 6000 – 7000/quintal. In the last two months, the castor cultivation prices have dropped from Rs. 4000 to Rs. 3600/-. Such low prices export sales depress the castor seed prices and also affect the castor seed growers who are denied remunerative returns. The group has also sent a letter stating the estimates of farmers’ losses due to non-procurement of food grains and damage from rain. 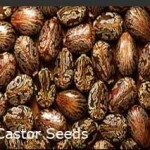 This entry was posted in Castor - India, Castor Prices, Castor seeds and tagged Castor Seeds Price, prices by Gayathri. Bookmark the permalink. I have good stock of Castor direct from Farm with Bulk if interested please let me know. Drop an email.